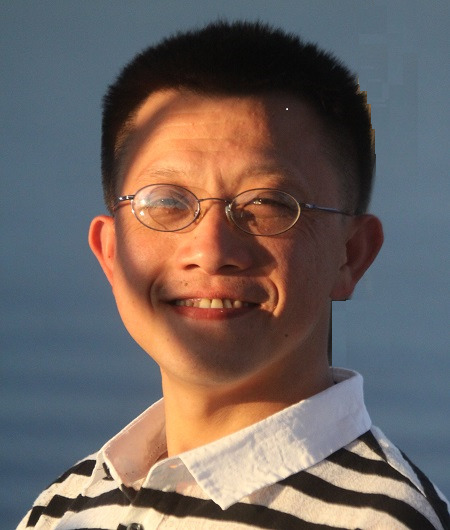 Dr. Jingshan Huang is an Associate Professor of Computer Science in the School of Computing (SoC) at the University of South Alabama (USA). Dr. Huang received his Ph.D. in Computer Science and Engineering from the University of South Carolina in 2007. Prior to his current position, Dr. Huang was an Assistant Professor at Benedict College and a Research Specialist at the Medical University of South Carolina, respectively. Data Semantics and Web Data; Artificial Intelligence and Big Data; and Bioinformatics and Computational Biology. Books 1. J. Huang, G. Borchert, D. Dou, J. Huan, and M. Tan, editors, Bioinformatics in microRNA research: computational methods in exploring microRNAs’ functions, (in-progress) Springer series of Methods in Molecular Biology, 2014. 2. J. Huang, Towards Mutual Understanding Among Ontologies: Rule-Based and Learning-Based Matching Algorithms for Ontologies, VDM, 2008 (ISBN: 978-3-639-11556-7). 4. J. Huang, J. Dang, G.M. Borchert, K. Eilbeck, H. Zhang, M. Xiong, W. Jiang, H. Wu, J.A. Blake,D.A. Natale, and M. Tan, “OMIT: Dynamic, Semi-Automated Ontology Development for the microRNA Domain,” PLOS ONE, 9(7): 1-16, e100855, July 2014 (doi:10.1371/journal.pone.0100855). 5. M. Zhu, W. Wang, and J. Huang, “Improved Initial Cluster Center Selection in K-Means Clustering,” Engineering Computations, 31(8): 1661-1667, Nov. 2014 (doi: 10.1108/EC-11-2012-0288). 6. M. Zhu, W. Wang, B. Liu, and J. Huang, “Efficient Video Panoramic Image Stitching based on an Improved Selection of Harris Corners and a Multiple-Constraint Corner Matching,” PLOS ONE, 8(12): 1-15, Dec. 2013 (doi: 10.1371/annotation/eada5385-44a7-4a4f-aa1b-2194affdf310). 7. M. Zhu, W. Wang, B. Liu, and J. Huang, “Improved Prototype Selection in Synergetic Pattern Recognition to Recognize Human Face Expressions,” Journal of Algorithms and Computational Technology, 7(4): 541-552, Multi Science Publishing, Dec. 2013 (doi: 10.1260/1748-3018.7.4.541). 8. M. Zhu, W. Wang, B. Liu, and J. Huang, “A Fast Image Stitching Algorithm via Multiple-Constraint Corner Matching,” Mathematical Problems in Engineering, Volume 2013 (2013), Article ID 157847, pp. 1-6, Sept. 2013. 9. J. Huang, D. Dou, J. Dang, J.H. Pardue, X. Qin, J. Huan, W.T. Gerthoffer, and M. Tan, “Knowledge Acquisition, Semantic Text Mining, and Security Risks in Health and Biomedical Informatics,” World Journal of Biological Chemistry, 3(2): 27-33, Baishideng, Feb. 2012 (doi:10.4331/wjbc.v3.i2.27). 10. J. Huang, C. Townsend, D. Dou, H. Liu, and M. Tan, “OMIT: A Domain-Specific Knowledge Base for MicroRNA Target Prediction,” Pharmaceutical Research, (impact factor: 4.74), Springer, 28(12): 3101-3104, Dec. 2011, published online Aug. 2011 (doi:10.1007/s11095-011-0573-8). 11. J. Huang, L. He, and G.V. Davidson-Shivers, “Educational Assessment via a Web-Based Intelligent System,” US-China Education Review, 8(5): 666-674, May 2011. 12. J. Huang, J. Dang, M.N. Huhns, and W.J. Zheng, “Use Artificial Neural Network to Align Biological Ontologies,” BMC Genomics 2008, 9 (Suppl 2): S16 (impact factor: 3.93). 13. J. Huang, J. Dang, and M.N. Huhns, “Ontology Alignment as a Basis for Mobile Service Integration and Invocation,” International Journal of Pervasive Computing and Communications, 3(2): 138-158, Emerald, 2007 (acceptance rate < 17%). 14. J. Huang and J. Dang, “Context-Sensitive Ontology Matching in Electronic Business,” Electronic Business Interoperability: Concepts, Opportunities, and Challenges. Ejub Kajan, editor, IGI Global, 2010, pp. 279-301. 15. J. Huang, J. Dang, and M.N. Huhns, “Ontology-Based Partner Selection in Business Interaction,” Handbook of Ontologies for Business Interaction. Peter Rittgen, editor, IGI Global, 2007, pp. 364-380. 17. J. Huang, J. Dang, X. Lu, M. Xiong, W.T. Gerthoffer, and M. Tan, “Semi-Automated microRNA Ontology Development based on Artificial Neural Networks,” Proc. 2013 IEEE International Conference on Bioinformatics and Biomedicine (BIBM-13), pp. 526-529, IEEE, Shanghai, China, Dec. 2013. 18. J. Huang, J. Huan, A. Tropsha, J. Dang, M. Xiong, and W. Jiang, “Semantics-Driven Frequent Data Pattern Mining on Electronic Health Records for Effective Adverse Drug Event Monitoring,” Proc. 2013 IEEE International Conference on Bioinformatics and Biomedicine (BIBM-13), pp. 608-511, IEEE, Shanghai, China, Dec. 2013. 19. F. Sheldon, J. Huang, J. Dang, D. Fetzer, S. Goose, J. Kirsch, D. Manz, T. Morris, and D. Wei, “Intrinsically Resilient Energy Control Systems,” Proc. 8th Annual Cyber Security and Information Intelligence Research Workshop (CSIIRW-12), Oak Ridge, TN, Jan. 2013. 20. J. Huang, J. Dang, X. Lu, D. Dou, J.A. Blake, W.T. Gerthoffer, and M. Tan, “An Ontology-Based MicroRNA Knowledge Sharing and Acquisition Framework,” Proc. 2012 BHI Workshop at IEEE International Conference on Bioinformatics and Biomedicine (BIBM-12), pp. 16-23, IEEE Computer Society Press, Philadelphia, PA, Oct. 2012. 21. F. Sheldon, J. Huang, J. Dang, D. Fetzer, D. Manz, T. Morris, D. Wei, J. Kirsch, and S. Goose, “Using Semantic Web Technologies to Develop Intrinsically Resilient Energy Control Systems,” Proc. 7th International Conference on Semantic Technologies for Intelligence, Defense, and Security (STIDS-12), Fairfax, VA, Oct. 2012. 22. C. Townsend, J. Huang, D. Dou, H. Liu, L. He, P.J. Hayes, R. Rudnick, H. Shah, D. Fell, and W. Liu, “NeuMORE: Ontology in Stroke Recovery,” Proc. IEEE International Conference on Bioinformatics & Biomedicine (BIBM-10), Hong Kong, China, Dec. 2010. 23. C. Townsend, J. Huang, D. Dou, H. Liu, L. He, P.J. Hayes, R. Rudnick, H. Shah, D. Fell, and W. Liu, “Ontology-Based Knowledge Acquisition for Neuromotor Functional Recovery in Stroke,” Proc. KEDDH Workshop at IEEE International Conference on Bioinformatics & Biomedicine (BIBM-10), Hong Kong, China, Dec. 2010. 24. C. Townsend, J. Huang, D. Dou, S. Dalvi, P.J. Hayes, L. He, W. Lin, H. Liu, R. Rudnick, H. Shah, H. Sun, X. Wang, and M. Tan, “OMIT: Domain Ontology and Knowledge Acquisition in MicroRNA Target Prediction,” Proc. 9th International Conference on Ontologies, DataBases, and Applications of Semantics (ODBASE-10), pp. 1162-1169, Springer-Verlag, Crete, Greece, Oct.2010. 25. J. Huang, M. Tan, D. Dou, L. He, C. Townsend, R. Rudnick, and P. Hayes, “MiRNA Ontology for Target Prediction in Human Cancer,” Proc. 1st ACM International Conference on Bioinformatics and Computational Biology (BCB-10), pp. 472-474, ACM Press, Niagara Falls, NY, Aug. 2010 (doi: 10.1145/1854776.1854861). 26. J. Huang, D. Dou, L. He, J. Dang, and P. Hayes, “Ontology-Based Knowledge Discovery and Sharing in Bioinformatics and Medical Informatics: A Brief Survey,” Proc. 7th International Conference on Fuzzy Systems and Knowledge Discovery (FSKD-10), Yantai, China, Aug. 2010. 27. J. Huang, A. Yasinsac, and P. Hayes, “Knowledge Sharing and Reuse in Digital Forensics,” Proc. 4th International IEEE Workshop on Systematic Approaches to Digital Forensic Engineering (SADFE-10), Oakland, CA, May 2010. 28. J. Huang, L. He, and G.V. Davidson-Shivers, “IWAS: Intelligent Web-Based Assessment System,” Proc. Society for Information Technology & Teacher Education (SITE-10), San Diego, CA, Mar. 2010. 29. J. Dang, J. Huang, and M.N. Huhns, “Workflow Coordination for Service-Oriented Multiagent Systems,” Proc. 6th International Conference on Autonomous Agents and Multiagent Systems (AAMAS-07), Honolulu, Hawaii, May 2007. 30. J. Huang, J. Dang, J.M. Vidal, and M.N. Huhns, “Ontology Matching Using an Artificial Neural Network to Learn Weights,” Proc. SWeCKa Workshop at International Joint Conferences on Artificial Intelligence (IJCAI-07), pp. 80-85, Hyderabad, India, Jan. 2007. 31. J. Huang and M.N. Huhns, “Superconcept Formation System-An Ontology Matching Algorithm for Web Applications,” Supplemental Proc. 5th International Semantic Web Conference (ISWC-06), Athens, GA, Nov. 2006. 32. J. Huang, J. Dang, and M.N. Huhns, “Ontology Reconciliation for Service-Oriented Computing,” Proc. 2006 IEEE International Conference on Services Computing (SCC-06), pp. 3-10, Chicago, IL, Sept. 2006 (2nd Place for Best Student Paper Award). 33. J. Huang and M.N. Huhns, “An Ontology Matching Algorithm for Service Discovery,” Proc.Service Discovery on the WWW Workshop at 1st Asian Semantic Web Conference (ASWC-06), Beijing, China, Sept. 2006. 34. J. Huang, J. Dang, and M.N. Huhns, “Reconciling Ontologies for Coordination among E-business Agents,” Proc. BASeWEB Workshop at International Conference on Autonomous Agents and Multiagent Systems (AAMAS-06), pp. 62-69, Hakodate, Japan, May 2006. 35. J. Huang, J. Dang, and M.N. Huhns, “Ontology Reconciliation in E-business Domain,” presented in International Student Workshop on Agents (ISWA-06), Kyoto, Japan, May 2006. 36. J. Huang, R. Zavala, B. Mendoza, and M.N. Huhns, “A Schema-based Approach Combined with Inter-Ontology Reasoning to Construct Consensus Ontologies,” Proc. C&O Workshop at National Conference on Artificial Intelligence (AAAI-05), pp. 80-87, Pittsburgh, PA, July 2005. 37. J. Huang, R. Zavala, B. Mendoza, and M.N. Huhns, “Sharing Ontology Schema Information for Web Service Integration,” Proc. 5th International Conference on Computer and Information Technology (CIT-05), pp. 1056-1062, Shanghai, China, Sept. 2005. 38. M.G. Valtorta, J. Huang, et al., “Extending Heuer’s Analysis of Competing Hypotheses Method to Support Complex Decision Analysis,” Proc. 2005 International Conference on Intelligence Analysis Methods and Tools (IA-05), Washington D.C., May 2005. 39. J. Cheng, J. Huang, et al., “OmniSeer: A Cognitive Framework for User Modeling, Reuse of Prior and Tacit Knowledge, and Collaborative Knowledge Services,” Proc. 38th Annual Hawaii International Conference on System Sciences (HICSS-38)-Track 9, Big Island, Hawaii, Jan. 2005. 41. M.G. Valtorta, J. Huang, et al., “Tutorial and Training Manual for the Prior and Tacit Knowledge System of OmniSeer,” Dec. 2003. 42. J. Cheng, J. Huang, et al., “OmniSeer Project Final Report,” Aug. 2004.